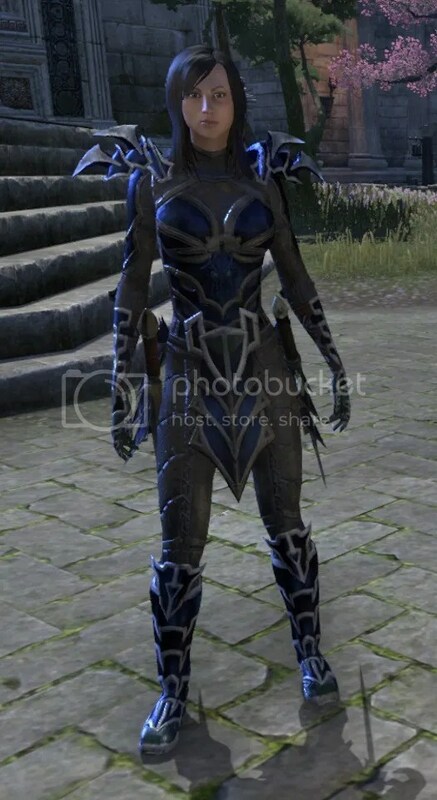 Elder Scrolls Online came out with armor dyes a while back, which lets you colorize your gear using dyes that you unlock through achievements. The result has been that instead of mainly brown, gray, and black armor.. players are now running around in all sorts of colors. 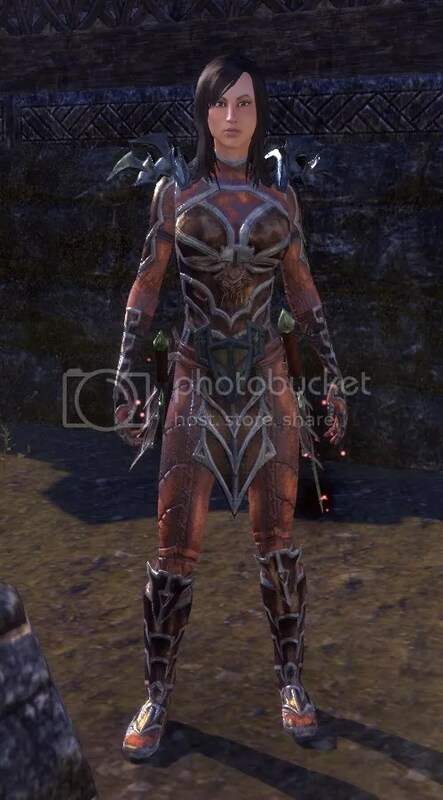 During the first week of dyes, the best change I saw was from a post from @Lily.121 on a facebook group I am on called “Elder Scrolls Online Players.” She talked about how dramatic a difference the dye coloring made in her gear. Some gear colors were changed during the dye design process. So say for example you were wearing a gray robe when you logged off before the change, you might have logged on to find yourself wearing a red or pink one. When she logged on after the change, this is how she found her gear! Ew. The Orange Is Not Black…. 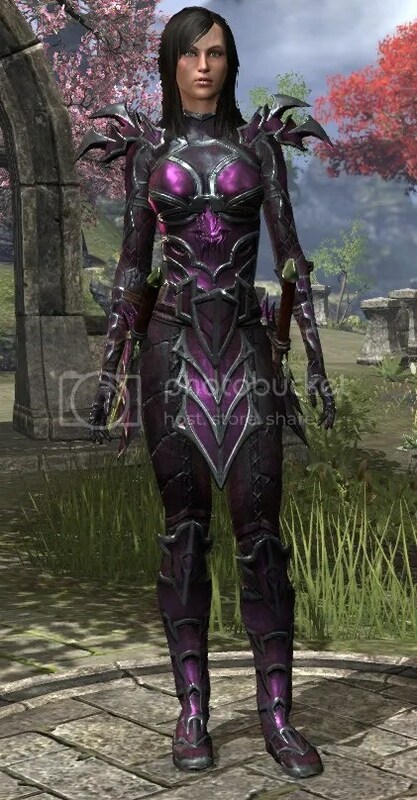 So she went to the dye station and changed it using Pillager Purple for the first and third dye and Thalmor Black as the second color. If you want to look up which achievements you need for certain dyes, this link is awesome! It has all of them listed.